AvediaServer now includes new enterprise middleware to manage end point presentation and interface experiences. Exterity customers use Artio to customize the design and brand of multiple portals and channel viewing options to meet their own unique requirements. Artio provides IPTV System Administrators the tools to improve the power and flexibility of enterprise IPTV middleware for organizations across a range of industry sectors. Artio facilitates the creation and management of customized TV, VoD, radio and interactive pages – tailored for individuals or groups of viewers with a consistent user interface across multiple client devices, providing flexibility for user engagement to go far beyond what was previously possible in the enterprise IPTV space. Artio enables organizations to provide specific User Interfaces for different groups of users, enabling them to fully unlock the possibilities of enterprise IPTV. Artio helps administrators’ manage the design and brand of the end user experience through an intuitive drag and drop interface and basic design template options, rather than the laborious process of creating them from scratch. Easily add or edit all the functions that are needed, schedule a sequence of actions, trigger recordings and inject promotions or messages to create separate content streams for different audiences. Artio Desktop is a media player that instantly gives PCs and Macs access to TV and video content with a mouse click. 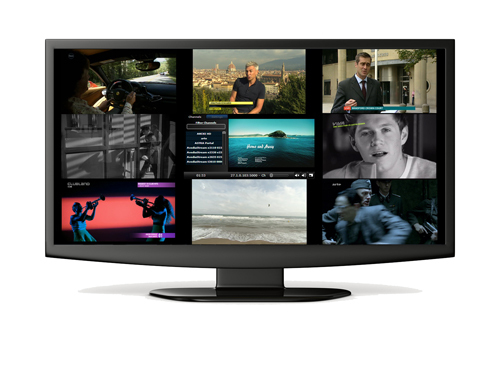 Artio Desktop supports live TV, Video on Demand and provides a comprehensive EPG.